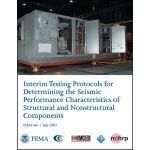 Minimum quantity for "Assessment of the NIST 12-Million-Pound (53 MN) Large-Scale Testing Facility" is 1. 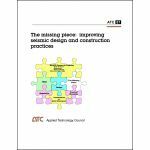 Minimum quantity for "The Missing Piece: Improving Seismic Design and Construction Practices" is 1. 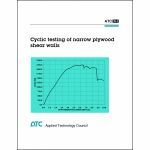 Minimum quantity for "Cyclic Testing of Narrow Plywood Shear Walls" is 1. 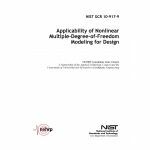 Minimum quantity for "Applicability of Nonlinear Multiple-Degree-of-Freedom Modeling for Design" is 1. 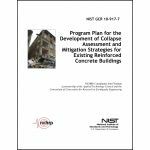 Minimum quantity for "Program Plan for the Development of Collapse Assessment and Mitigation Strategies for Existing Reinforced Concrete Buildings" is 1. Minimum quantity for "Natural Hazard Mitigation Saves: An Independent Study to Assess Future Savings from Mitigation Activities, Volume 1: Findings, Conclusions, and Recommendations" is 1. 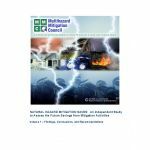 Minimum quantity for "Natural Hazard Mitigation Saves: An Independent Study to Assess Future Savings from Mitigation Activities, Volume 2: Study Documentation" is 1.